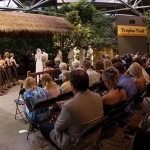 Say “I do at the Minnesota Zoo” and enjoy lush grounds and exotic settings on your big day! For your reception, choose from our spectacular marine setting, Discovery Bay, showcasing Hawaiian monk seals, sharks, fish and even a living coral reef. 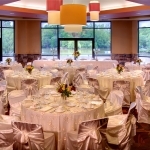 Or, opt for our more traditional venue, Call of the Wild with floor to ceiling windows overlooking the main lake. You may also add the breath-taking, indoor Tropics for a beautiful ceremony and/or social hour. Host your receiving line along our Tropics Trail where you can view unique mammals, birds and fish in their natural habitats. The Minnesota Zoo is sure to provide memories and stunning photos for you and your guests. Unique environment with lush greenery, waterfalls, and animals from the tropical regions of the world. Visit our trail for your special ceremony. Home to our aquatic wildlife such as Hawaiian monk seal, sharks, jelly fish & sea dragons and offer an intimate experience surrounded by large saltwater tanks. 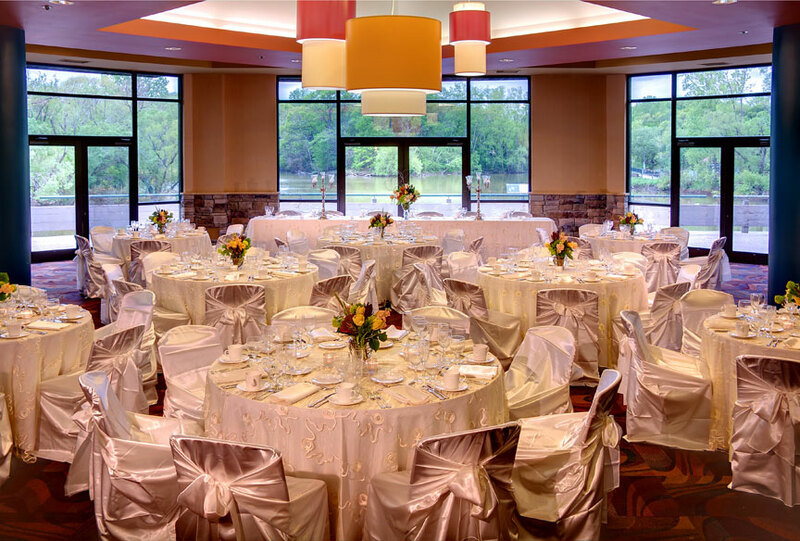 Most traditional banquet space that showcases multiple windows overlooking our main lake and a modern décor for dinner & dancing. Combine this room with one of our exhibit paces for a total change of scenery. The Minnesota Zoo will send a contract and invoice due 20 days from conformation of booking. The invoice deposit will be 50% of the rental fee. Visa, MasterCard, American Express and Discover or checks are accepted. First payment: (Due 15 days from booking) – 25% of the food & beverage minimum. Second payment: (Due 120 days out from event) – 25% of food & beverage minimum. Final payment: (Due 10 days from event) – Final amount based on final guest numbers. Additional charge: If alcohol is served, an off-duty police officer will be contracted for you through the Minnesota Zoo as at additional expense of $375. Lancer Catering is our exclusive caterer and offers many different options ranging from buffets, sit down dinner or appetizer stations. Lancer Catering has a full liquor license offering cash bar, drink tickets or open bar options for alcoholic selections. What type of entertainment does the Zoo allow? Call of the Wild: Dance bands (up to 8 musicians) are allowed in the Call of the Wild. Both spaces have a dance area. Due to space limitations, the Tropics Trail is not available for a dance. For the safety of our animals, music levels are strictly controlled by the evening event manager. Lighting—Par Can lighting is allowed. Fog or bubble machines, strobe, laser, or cop lights are not permitted. The Minnesota Zoo is proud to partner with Lancer Catering as our exclusive on-site caterer. Lancer offers complete food and beverage service, as well as staff who will work with you to customize your event. Yes. Depending on the night of the week, and the facility rented, the food and beverage minimums range from $3,000-$6,000. Do we have to use Lancer's preferred bakery, Buttercream? Lancer Catering partners with Buttercream for event cakes. Choosing to go with Buttercream is beneficial, as the cake fee is applied to your food and beverage minimum. You are not, however, obligated. Lancer does charge a cake cutting fee of $2 per person when a cake is brought in from vendors other than Buttercream. Outside cakes must come from a licensed bakery. 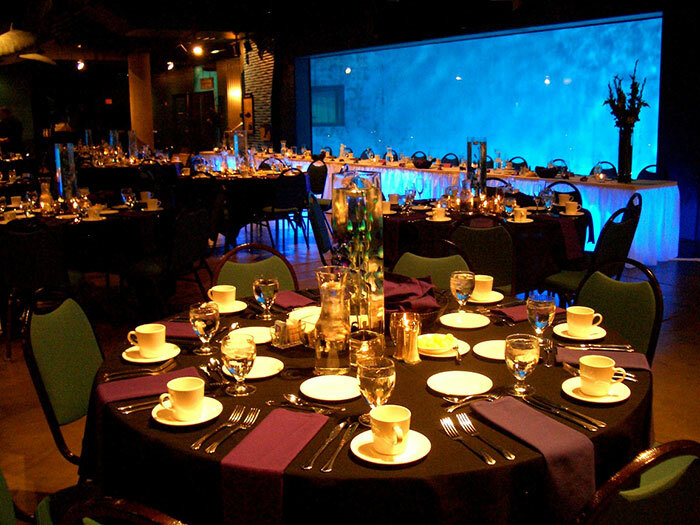 Because the Zoo is a unique venue, we encourage you to take advantage of the décor that is already in place. Most clients have found that keeping decorations to table-top centerpieces adds a nice touch to the event and is just enough décor. Please note that all floral must be supplied by a licensed florist or wholesaler. Flowers and plants cannot come from home gardens or farmer’s markets. All candles must be encased in glass. Live goldfish, mylar shreds, confetti, glitter, balloons, streamers, rice, birdseed, gel candles, and liquid bubbles are not allowed on Zoo grounds or in its facilities. All décor must be pre-approved by your Minnesota Zoo Sales Representative. Alcohol is permitted at Evening Events at the Minnesota Zoo. Lancer Catering handles all beverage service, as they hold the liquor license and liability insurance for these events. Any alcohol brought in is not permitted on Zoo grounds or in its facilities and will be confiscated. Is there a security charge? Minnesota Zoo security is included with your room rental fee. If alcohol is served, an Apple Valley Police officer will be hired by the Zoo at an additional charge to the client. What parts of the Zoo can we see during our event? All Evening Events held at the Minnesota Zoo are held after the Zoo is closed. The only area you and your guests will have access to is the area you have rented for the event. Does it smell like a zoo? The Minnesota Zoo prides itself on the cleanliness of our facility, with staff cleaning the exhibits and common areas every day. Keep in mind, this is a zoo; however, once your party begins, everyone is having too much fun to notice anything unusual! How far in advance can we reserve one of your facilities? 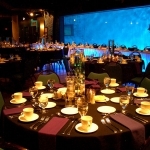 It is never too early to book an event at the Minnesota Zoo. 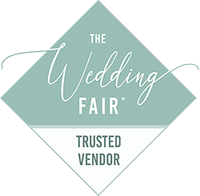 Because we are one of the Twin Cities’ most unique venues, our facilities do fill quickly! Minnesota Zoo: 50 percent of the facility rental fee and a signed contract is due within two weeks of booking. Lancer Catering: 25 percent of the food and beverage minimum and a signed contract is due within two weeks of booking. Another 25 percent of the food and beverage minimum is due six months before the date. (If the date is six months out or less, 50 percent of the food and beverage is due) All deposits are non-refundable. Can ceremonies be held at the Zoo? 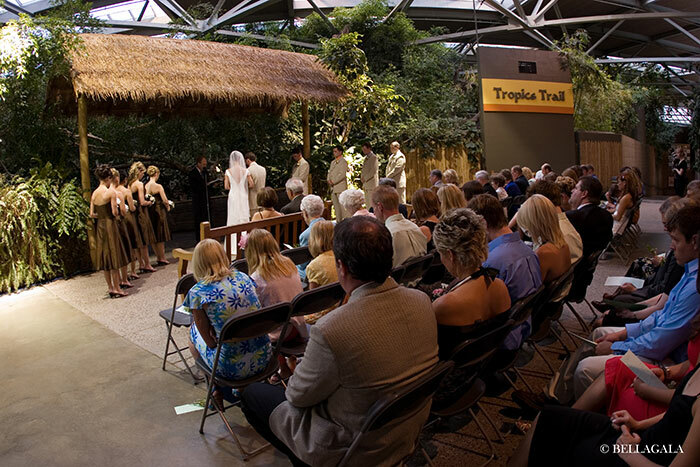 “Say I do at the Zoo” with a ceremony in the lush Tropics building. Afterwards, host your receiving line on the beautiful Tropics Trail home to exotic mammals, birds and fish to enjoy. A ceremony fee of $250 plus the venue rental will be charged. Do you have audio/ visual equipment on-site that we can use?